Pune-based two wheeler maker Bajaj Auto had an exciting 2015 so far with the launch of new Pulsars and Avengers. And the latest interesting piece of tidbit that is being heard in the auto corridors is that Bajaj will roll out its Pulsar 400 range in India next year. The biking enthusiasts in the country have been waiting to hear the launch of Pulsar 400 range in the country since 2014 Auto Expo, where the company showcased its stunning Pulsar SS 400 and Pulsar CS 400. Although several launch dates have been linked to this Pulsar 400s since then, Bajaj has been decisively mum on the matter. Now the motor buffs at Motor Octane claim that the wait for Pulsar 400 range could end soon, as Bajaj is getting ready for the launch in 2016. 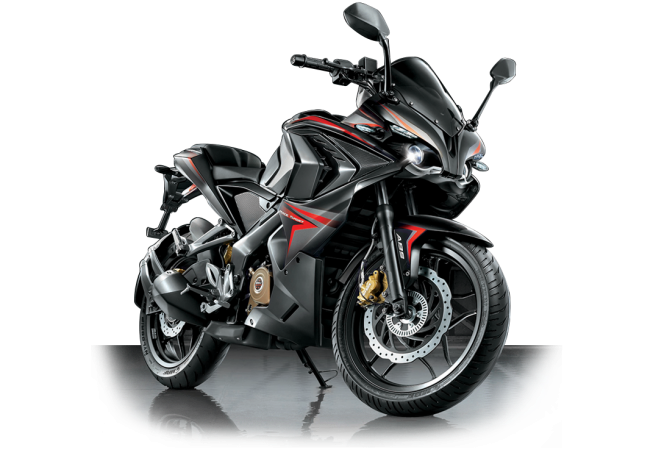 While there is no information about the exact launch date of the model, the news that Bajaj Auto is ready to roll out Pulsar 400 bikes in the Indian market will be music to the ears of biking enthusiasts. The report also adds that in the Pulsar 400 range, there could be a naked, fully-faired and adventure motorcycles. We hope that the range will also include Pulsar SS 400 and Pulsar CS 400. The Super Sport 400 Pulsar (SS400) flaunts a stylish design and is likely to get power from a 375cc liquid-cooled, 4-valve triple spark engine, mated to a six-speed transmission with fuel injection. As for the features, the SS400 Pulsar is expected to get a split seat, mudguard-mounted taillight and clip-on handle bars. Also expect the bike to have anti-lock braking systems (ABS). The SS 400 Pulsar is likely to be pitted against Honda CBR 250R in the domestic market and expected to be sold in the price range of ₹1.9 - ₹2.1 lakh. Pulsar CS 400, (Cruiser Sport 400) is speculated to draw power from 375cc liquid-cooled, 4-valve triple spark engine and is likely to come mated to a six-speed transmission with fuel injection. In India, the bike is likely to be priced in the range of ₹1.7 to ₹1.85 lakh (ex-showroom).